Great to discover this forum site dedicated to one of my all-time favourite TV shows. 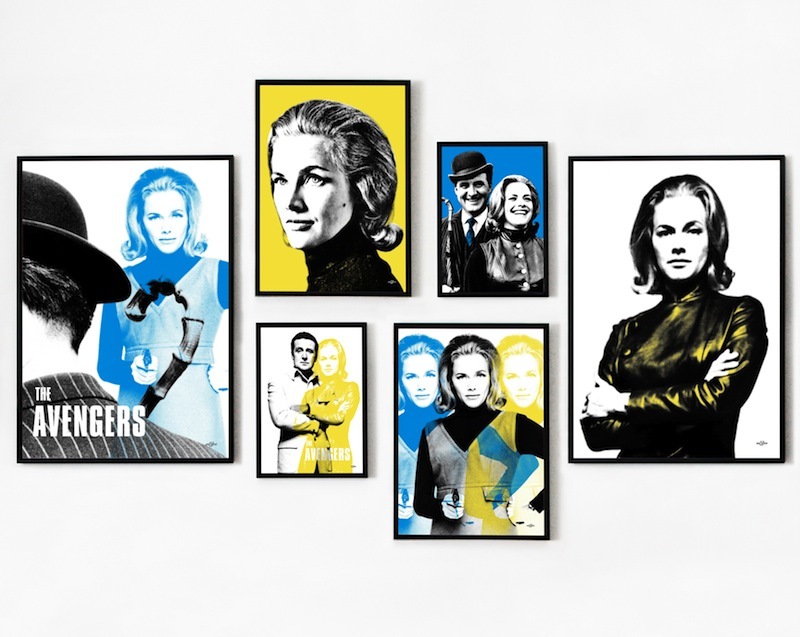 I had the pleasure of diving into StudioCanal’s extensive library of production and publicity photography at Pinewood Studios to create this group of exclusive pop art prints in homage to The Avengers. 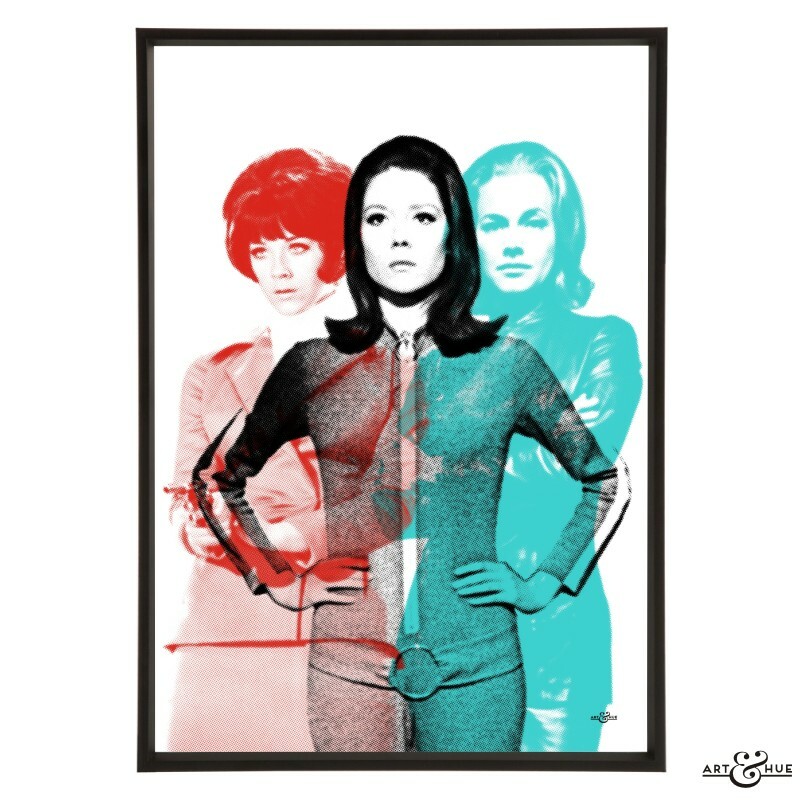 It was fascinating to get a glimpse of little moments on set of Patrick Macnee and Diana Rigg in between filming, and eye-opening to see some of the Season 4 images in colour. 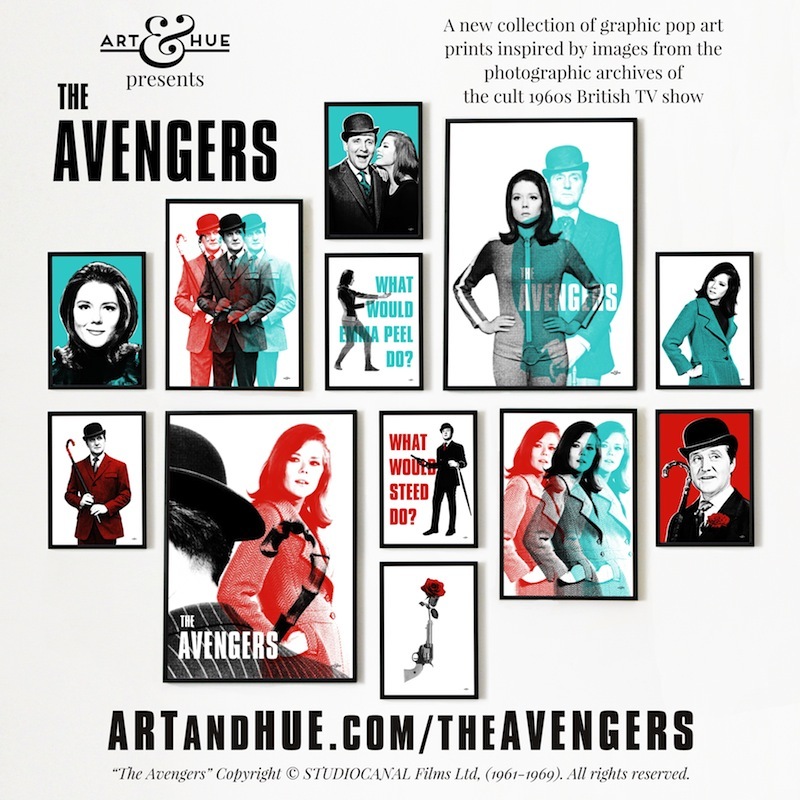 An official collaboration with StudioCanal, the copyright-holders of The Avengers, has resulted in this new collection of pop art prints, in Art & Hue’s signature halftone style, which are available in a choice of 17 colours and three sizes (including Black & White which is new for Art & Hue but a must-have option for monochrome purists). Printed on 310gsm fine art archival matte paper, made from 100% cotton, the range uses pigment inks which last lifetimes. Cool! I look forward to checking the designs out. 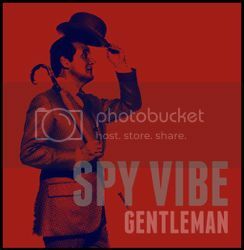 Maybe we can do a short interview to spread the work on SPY VIBE. As a fan of the show, it's lovely to see The Avengers being mentioned on varied websites! Posted: Tue Sep 15, 2015 12:52 pm Post subject: Brian Clemens!!! How wonderful is this! 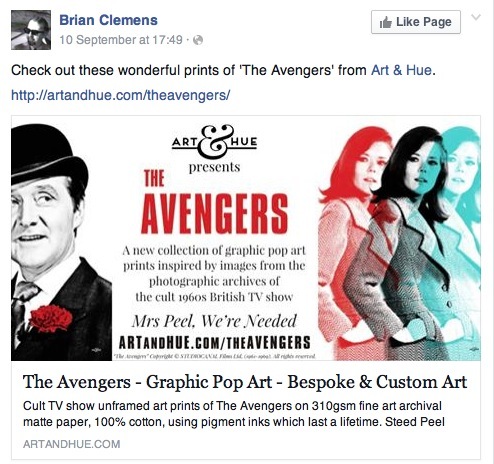 The Avengers collection of pop art by Art & Hue has been mentioned on the Brian Clemens Facebook page! Posted: Tue Sep 15, 2015 1:02 pm Post subject: Re: Brian Clemens!!! Brian didn't create The Avengers, nor did he direct any episodes. He produced the 35mm film series but had very little to do with the first series, writing just two episodes - and not the pilot as is often quoted. He wrote episode 2, I have the original script here to prove it too. So it is! I just seem to have it in my head that he created the entire thing, possibly because his name was all over it or possibly because he was the longest "showrunner" and nurtured it. However his name has become ingrained in my head, it's very exciting and humbling to see my collection of pop art mentioned on his Facebook page! Mine arrived and in purple they look great. So Pop! They look fantastic. 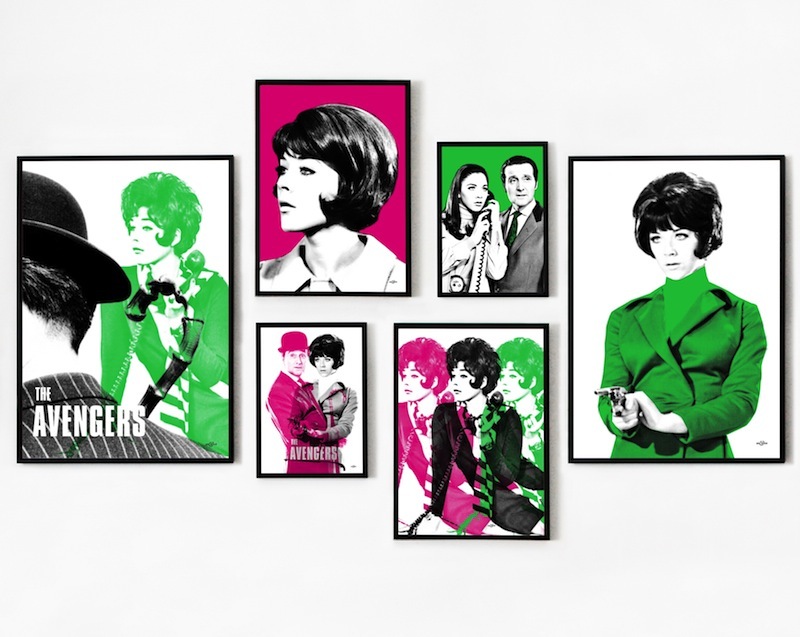 New collection of The Avengers Greetings Cards. It's great to see that the Art & Hue continues to please the Avengers fans and there are many pretty miraculous "inventions". Which ones do you like more? Numbers 2, 3, 4 and 7. Thanks Denis! 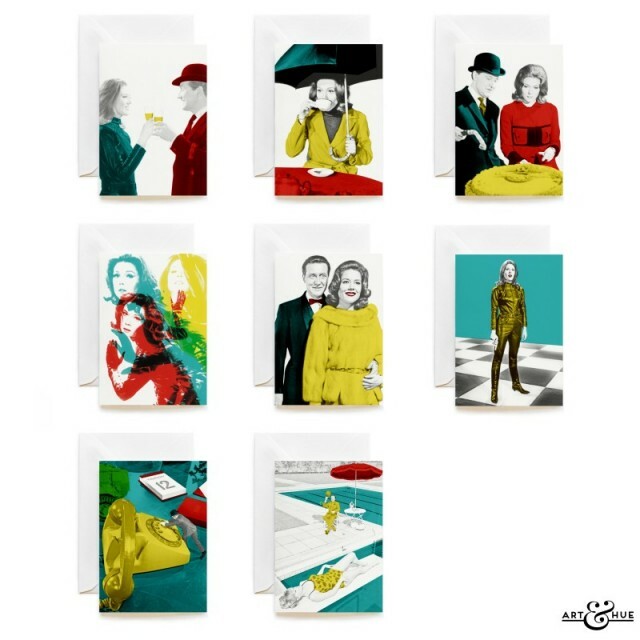 Much appreciated you sharing the news about the new greeting cards collection that's been added alongside the existing pop art collection. Really like the blue/yellow Gale-Steed one. I bought four of these when they first came out, two Steeds, and Two Mrs. Peels, and I still love looking at them! That's great to hear Mona! Jus to let everyone know, especially for people who like to get prepped in advance, I've now added The Avengers Christmas cards to the website alongside the existing year-round cards and pop art collection.